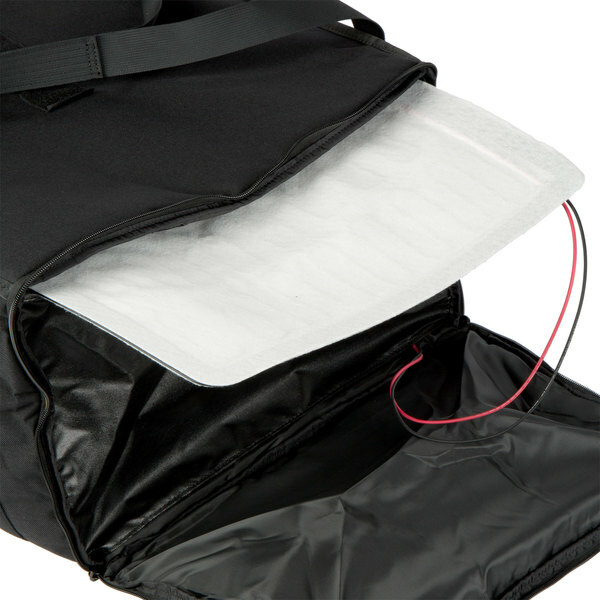 Does this heated food delivery bag come with a power cord? No, this bag doesn't come with a power cord. Since this bag can use one type of power cord to plug into wall outlets as well as a different type of power cord to plug into vehicle outlets, by buying cords separately you can purchase only the ones you need. 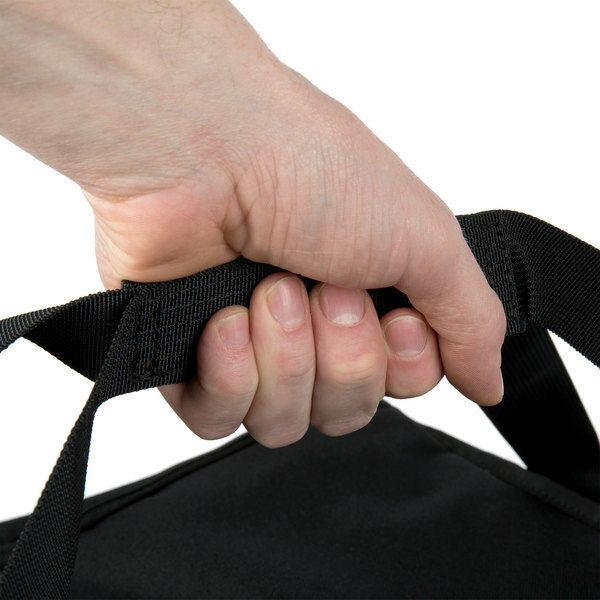 Plus, if you don't need to keep your bags plugged in continuously, one power cord can be used to heat multiple bags. 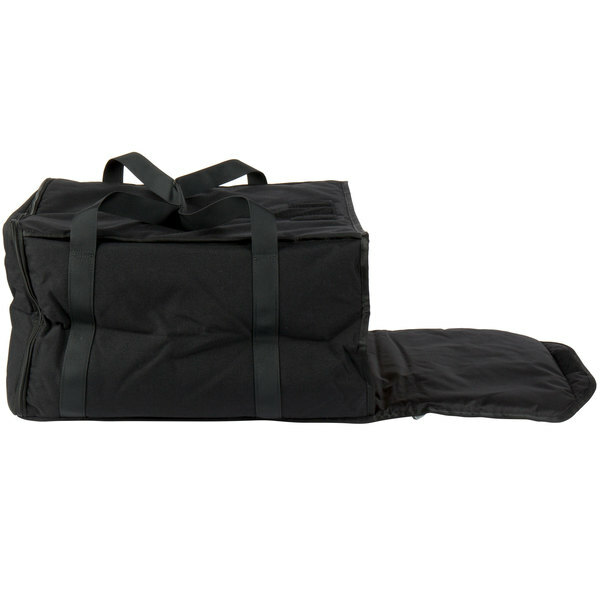 Keep your catered foods or deliveries hotter, longer with the Cres Cor CHB6 18" x 19" x 12" black soft-sided heavy-duty heated / insulated food delivery bag! 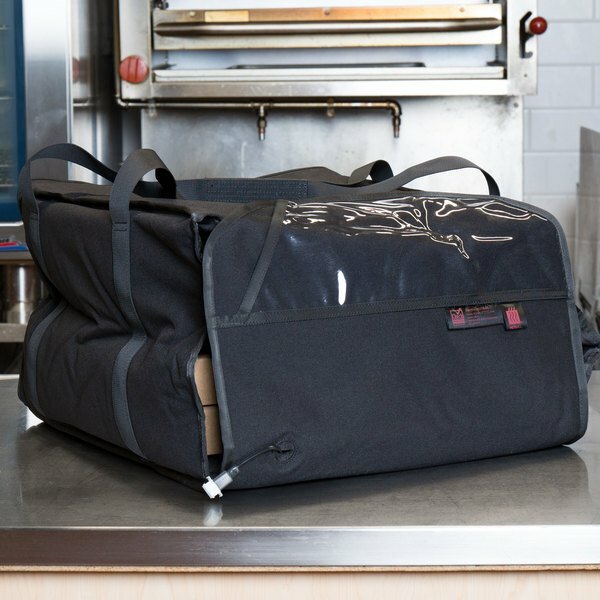 Since this delivery bag is heated, it helps to maintain food temperatures longer than unheated delivery bags - up to 2 hours after it is unplugged. 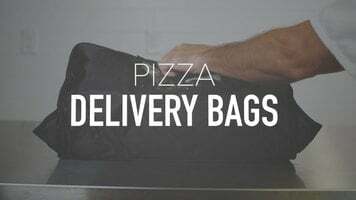 If you keep your delivery bag plugged in, it can be used for continuous holding. It can hold (6) 16" pizza boxes or (7) 14" pizza boxes, but is versatile enough that you can also use it for other types of food pans and containers. Providing menu flexibility for outdoor events and catering, this bag holds freshly cooked food at safe serving temperatures to reduce waste and ensure customer satisfaction. 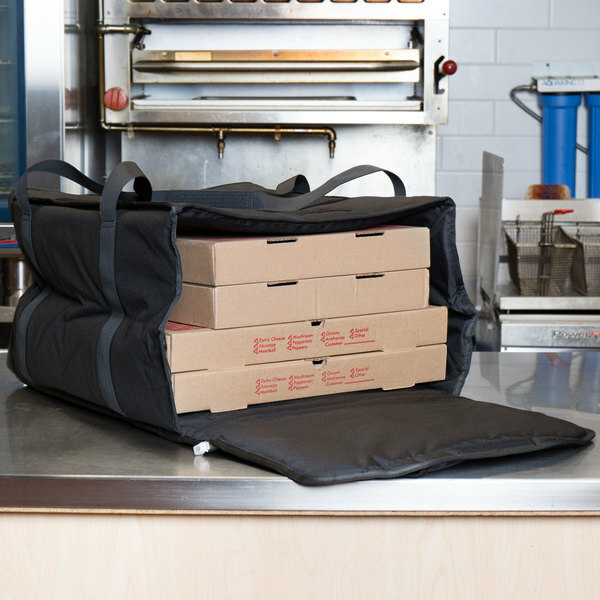 Whether you plan to deliver hot pizzas and sandwiches or you run a catering business, this delivery bag will be an asset to your operation. 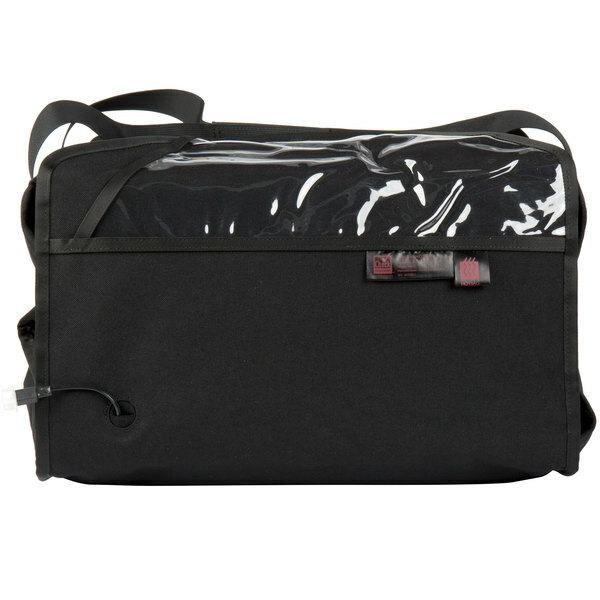 The exterior of this bag is made of a canvas fabric material and it has plastic supports to provide structural rigidity. 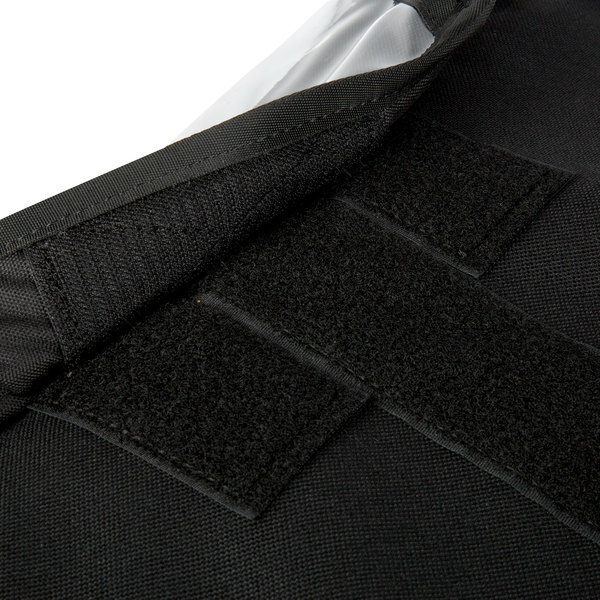 Inside, this bag features a proprietary insulation to keep food hot or cold depending on your business's needs. 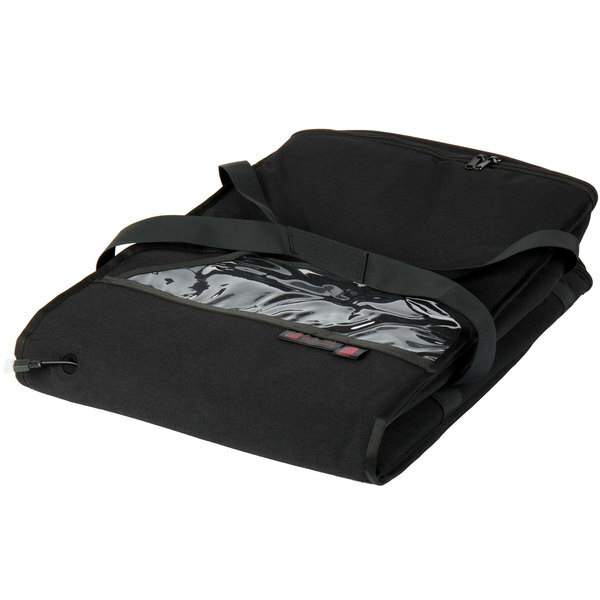 The handle is made of durable nylon with hook and loop fastening straps that make carrying the bag more efficient. When the bag is not in use, you can fold it up so that it is more compact for storage. 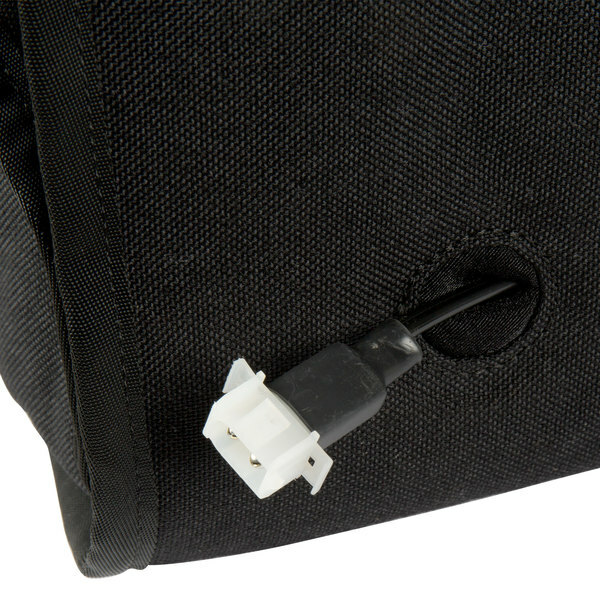 Designed with quick connect universal power cords (sold separately), this bag can easily connect to either wall power sockets or lighter plug power supplies in your vehicle. 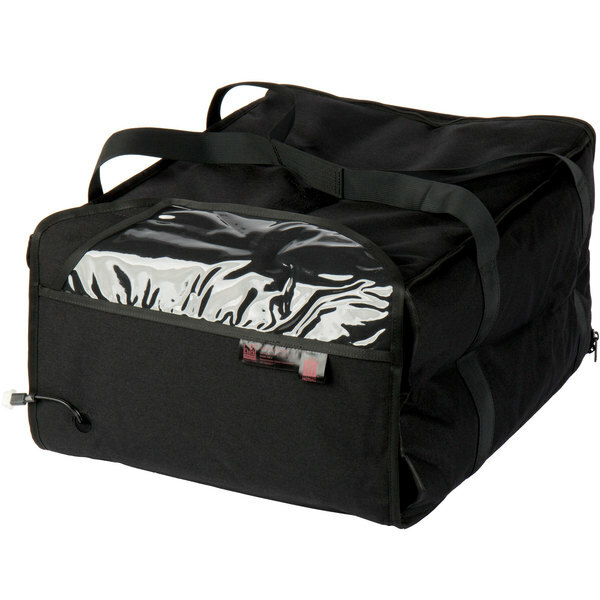 This allows for continued heating while you are transporting food for home delivery or to catered events. 120V AC, 200W; 12V DC, 50-70W.